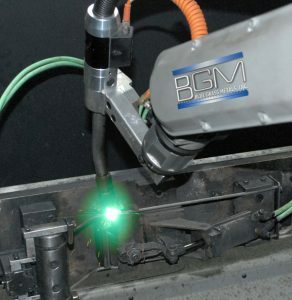 Blue Grass Metals invests in next generation technology. In addition to state of the art CNC and mechanical machinery, our manufacturing processes employ robotic cells for manufacturing and assembly of our customer parts and components. Our systems provide increased efficiency, safety and productivity while providing consistent quality control built into each process. 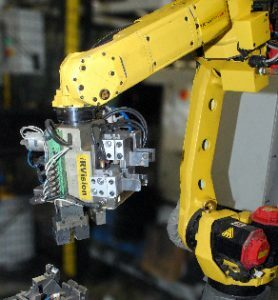 Our customers enjoy increased production, higher quality, greater flexibility and decreased costs with our high-end automation capabilities. 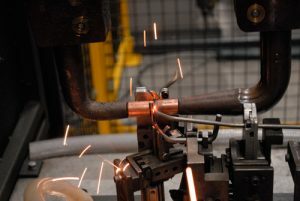 Blue Grass Metals employs lean manufacturing methods, just-in-time (JIT) production techniques, state-of-the-art equipment, and automation to achieve quality results. A lean fabrication system ensures that stock levels are efficiently managed in response to demand fluctuations and customer needs.